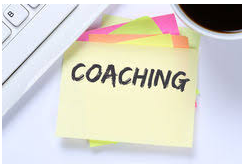 coaching basics for junior managers across South Africa-Benefits: EQ Skills, Goal Setting, Assertiveness, Positive Mental Attitude, Identify Weaknesses, 360 Feedback. BOTI offers coaching and mentoring basics for junior managers and across all management levels throughout South Africa. Book now! coaching basics for junior managers and coaching and mentoring basics for Junior Managers and Supervisors can make a real difference! BOTI’s Coaching and Mentoring Basics Training Programme for Junior Managers and Supervisors (Coaching and Mentoring for Junior Managers and Supervisors) provides Junior Managers and Supervisors with all the tools and techniques required in order to develop themselves. BOTI’s 10 course coaching programme of one and a half hours each comes with an introduction to coaching and mentoring basics which will introduce participants to key knowledge, attitudes and skills pertaining to coaching and mentoring within a business environment. Who is this coaching and mentoring basics for Junior Managers and Supervisors Programme targeted at?